Waste management company Cleansing Service Group (CSG) is to train selected staff in many of its depots and treatment plants to respond immediately when a customer requests help to deal with a spill. Hugh Neatherway, CSG’s divisional manager (Spills), said: “A fast response is essential and the spill responders will have the advantage of being close to customers in their area and therefore able to react more quickly to deal with the spill, or successfully contain it until the arrival of a specialist team that may have some distance to travel. “It was imperative to act quickly to spill situations, particularly if toxic liquids or solids were involved which might be hazardous to the company’s employees or the environment. Hampshire-based CSG also operates an on-site training programme designed to enable customers to take the immediate steps necessary to contain a spill. 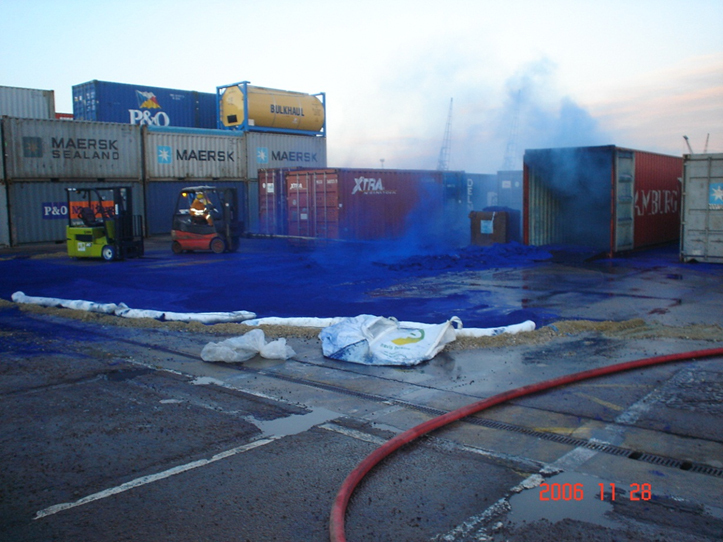 The company also has its own specialist Emergency Response Spills Service on call 24 hours a day every day and is a founder member of the UK Spill Association.